"Why would you wear a shoe to the beach?" asked my girlfriend from Jakarta. With that question I realized that the concept of going to the beach during the winter is not something that most Indonesians could understand. How could we? We are so much used to the beaches under a tropical scorching sun rays that using a sandal is very much preferred. But that wasn't the case for other countries. Take Australia for an example. 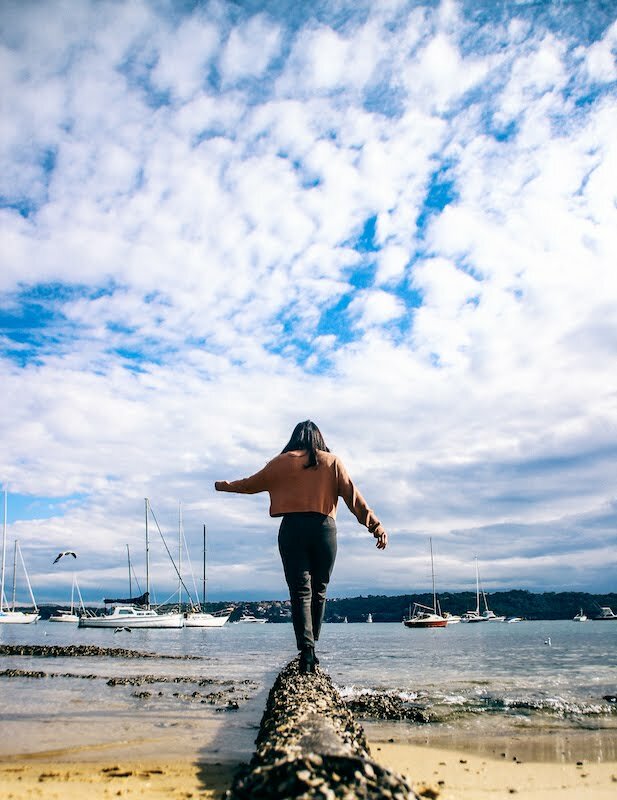 I've been in Australia for a few times in my whole life during the same season, which is winter, and I've been enjoying beaches with full clothes and double layered jacket to cover myself from the crazy windy weather. The sun was high, but the wind blew so strong, bringing the cold from the southern ocean to the bones. I found myself hiding from the wind in small bus stops just because I couldn't handle the cold. The temperature could reach 11 degree Celsius on a sunny afternoon on the beach. Even though the beach was pretty, but the temperature was unbearable. Nevertheless, going to the beach during winter has its own different kind of excitement. The wind might be strong, but it wouldn't be such a hot day to explore the beach through trekking from one beach to another. The ocean might not be swimmable but the cafes are definitely warm and friendly with other winter bazaar all around. 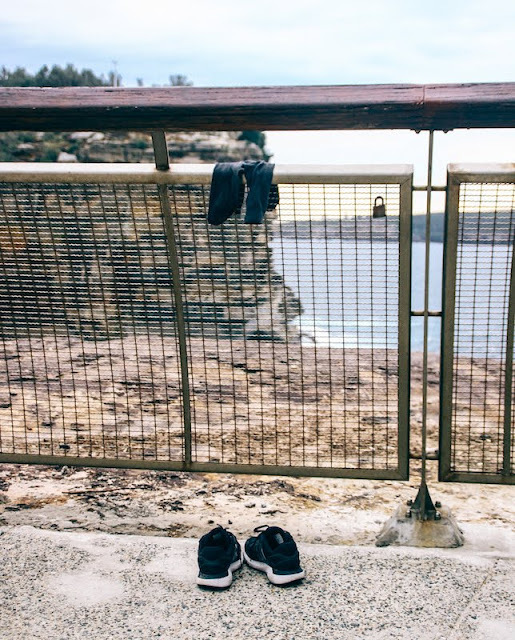 If you don't mind the extra hassle, Sydney is the place for you. 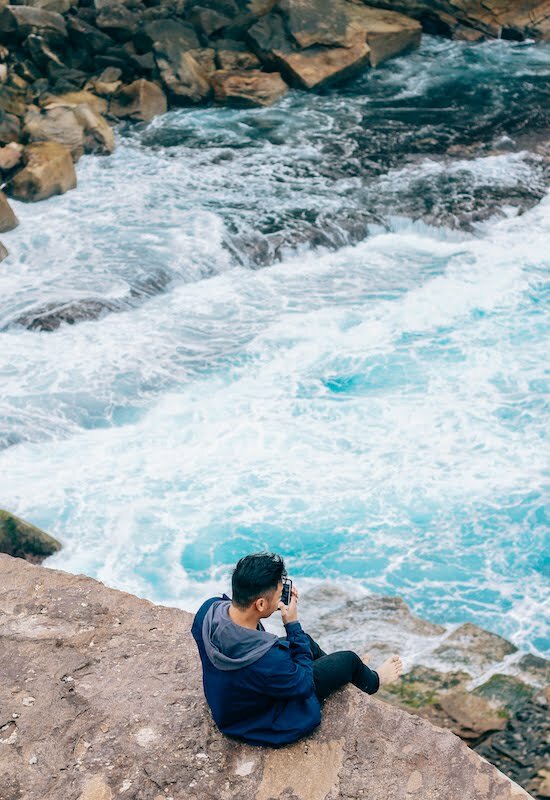 Get up early to explore some of Sydney's finest beach and finish the day with a spectacular view of the Sydney Opera House! That's what I did for a day of beach-ventures in Sydney. 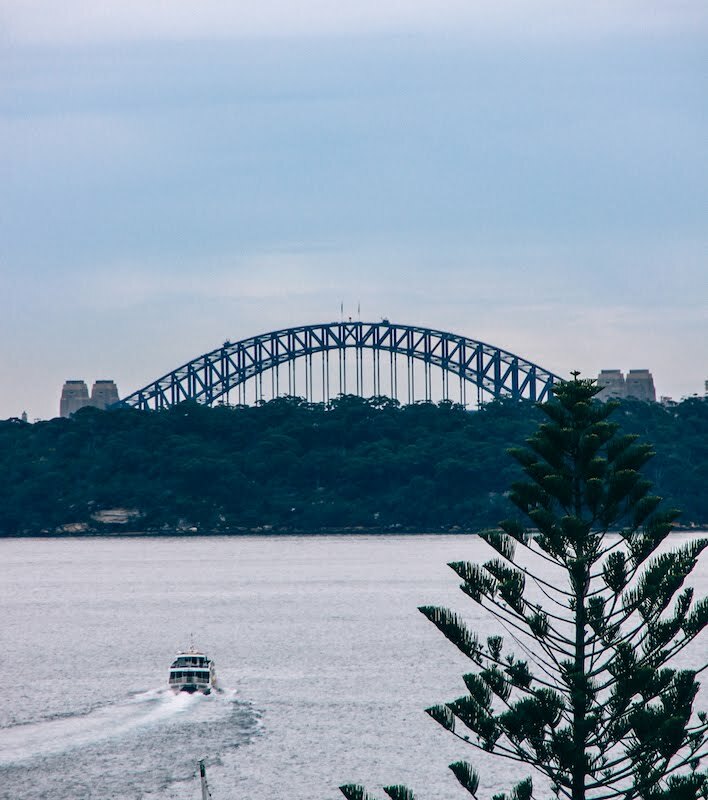 First off, Watsons Bay! Overlooking the ocean from The Gap after a little tresspassing. The view from The Gap. To this day, I am not sure why the first places I visit had the name of the famous retail stores such as The Gap that is located in Watsons Bay. 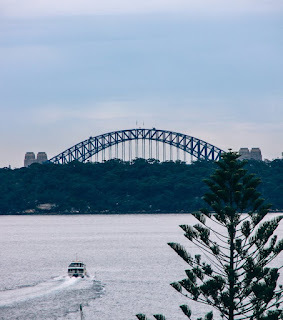 However, I do know, that Watsons Bay is not just another ocean view point. 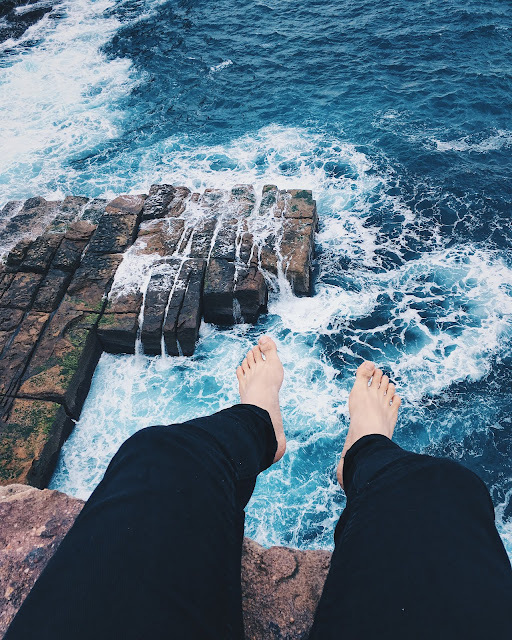 The Gap is an ocean cliff with roaring waves down under that gives a magnificent feel that you are nothing but a small human being. Climb up the stairs and find yourself on the top of the cliff. 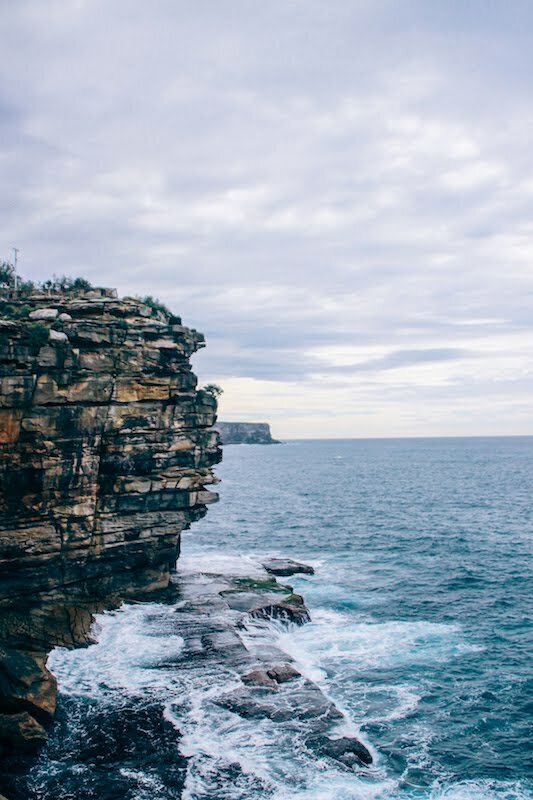 I guess that is what I love the most about Australia: everything is so well managed that even a toddler could experience being high up on the cliff, so near to the edge, because everything was well fenced! Well fenced for the kids! Drying up my shoes and socks because I got it wet when playing with water. It was probably excitement that got me too close to the water. 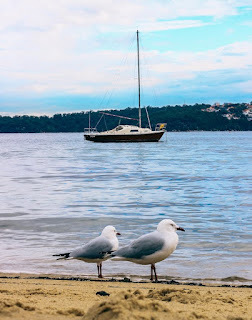 Right after arriving at the Watsons Bay I ran to the water as soon as I can. It was probably too long since my last ocean encounter. I was taking photos here and there only to realize that I was too close to the waves and I got my shoes all wet! I was walking around Watsons Bay bare footed for the next hour. Bare footed and scolded for trespassing to take this pic. Captivating clouds that formed such a beautiful day! 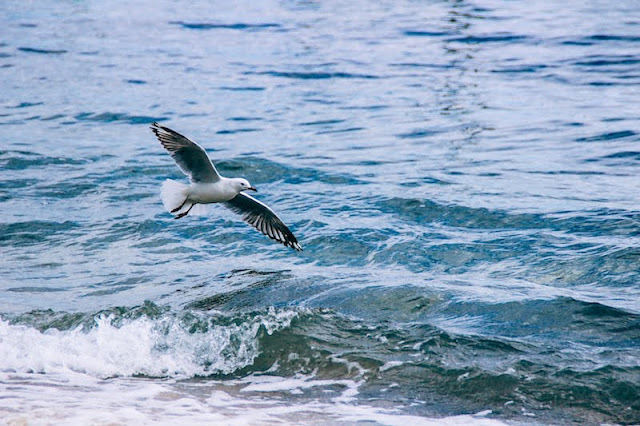 Took some more photos during the wait for the ferry to Manly Beach. Right: Sydney Bridget from afar. Soon enough, we hop on to a ferry to Manly Beach. It costed us around 7 bucks for a that lasted around 30 minutes. Us, the tourists, were too excited that we decided to sat on top of the ferry. Little did we know that the wind was so strong and cold! However, our determination to see everything on our first day in Sydney were strong and we remained on top until the last stop. 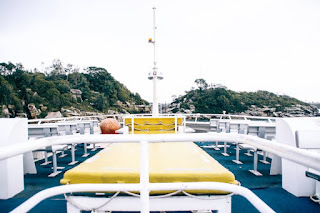 The ferry we took to Manly Beach. 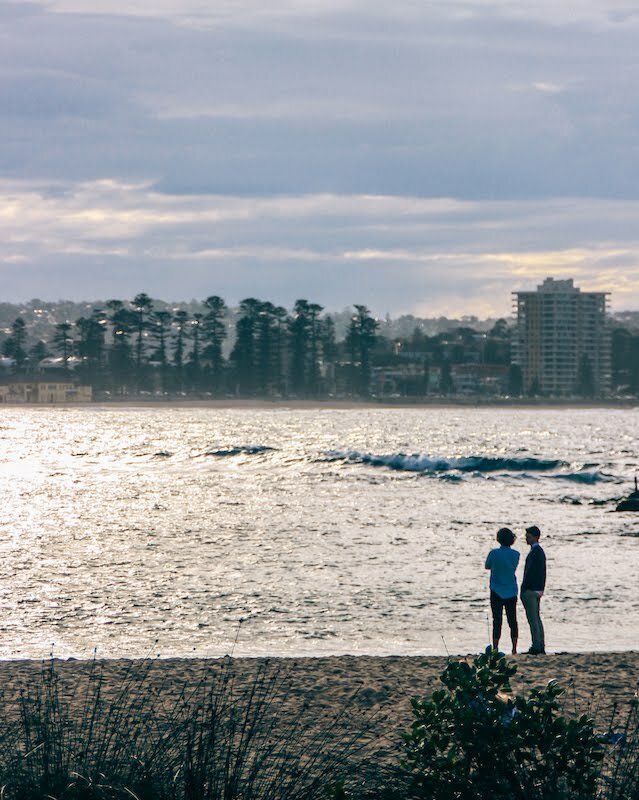 There are 2 kinds of transportations that you can take to Manly Beach. 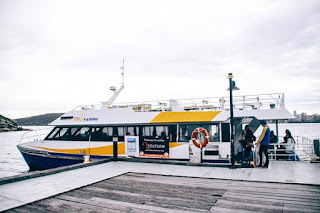 The faster boat costs more than the government owned public transportation and you can use your Opal card to pay for it. 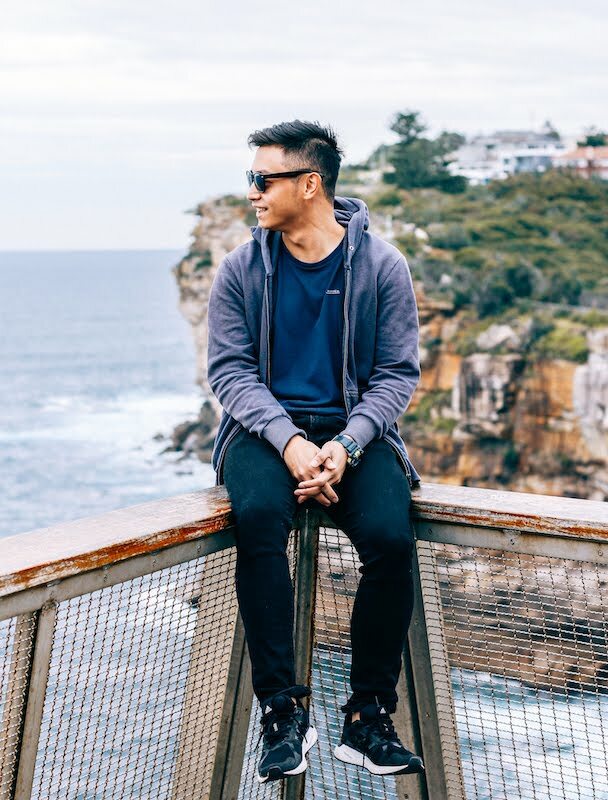 In case you didn't know, Opal card is the easiest way to pay for every public transportation in Sydney. 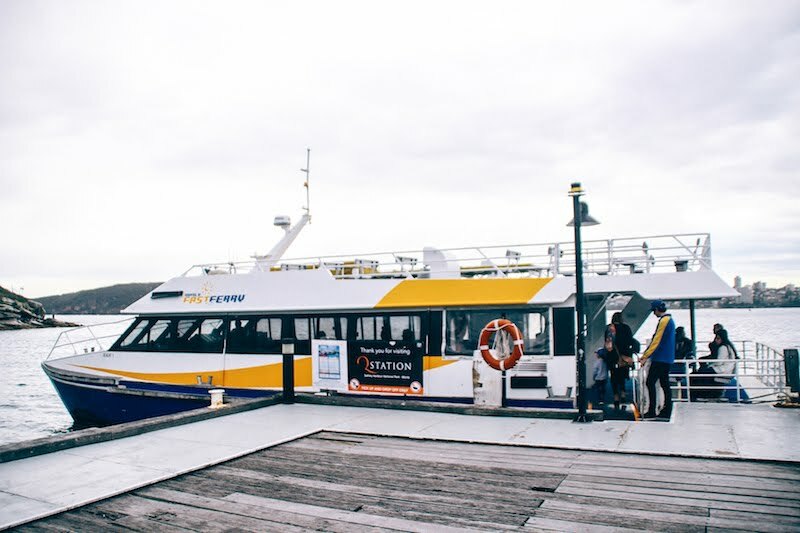 Take note of the stops that your ferry will have. We actually stopped at the wrong dock and got into a mystical location with ghost tour around the island. No kidding. However, we managed to hop on a bus that took us to Manly Beach. Finally! Manly Beach at 3 PM. The sun was high up in the sky but it went into hiding sooner than expected. 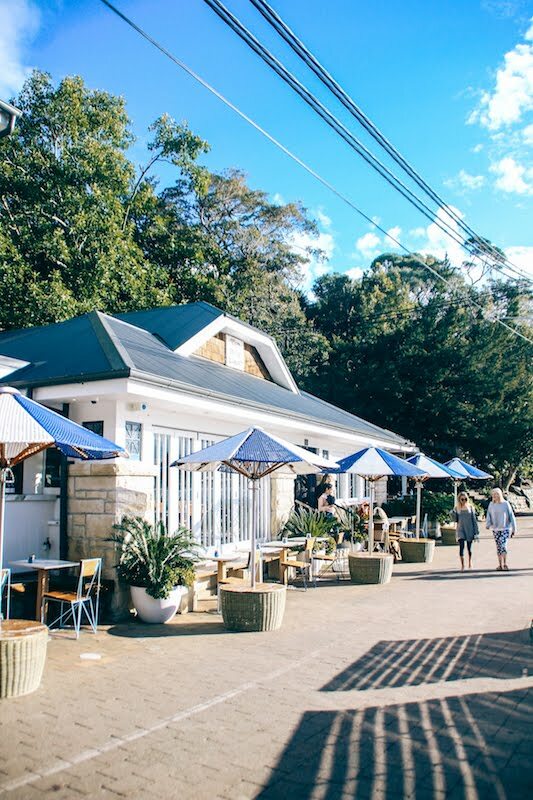 The Boathouse Cafe, one of the most famous restaurant in Manly. 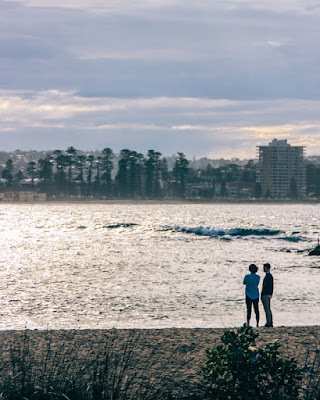 Manly's long ocean-side stretch of sand, running all the way from Queenscliff Beach to North Steyne Beach and Manly Beach, has long held a strong attraction for walkers, bathers and surfers alike. Not during the winter though. During the winter, visitors would just chill on the beachside or take their pets for a stroll. Since the weather is too cold for a swim, many would stay off the water and watch the pretty waves from afar. 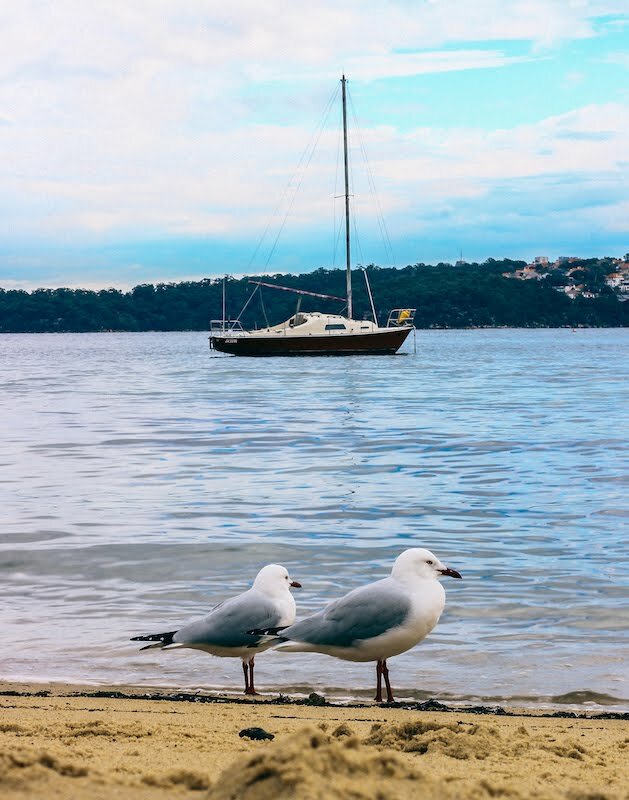 My friends and I chose to walk on the beach side until the end of the day before we take a ferry to Darling Harbour for a night view of the Sydney Opera House. The walk turned out to be the best decision of the day because we spotted this double rainbow right on top of Manly Beach! 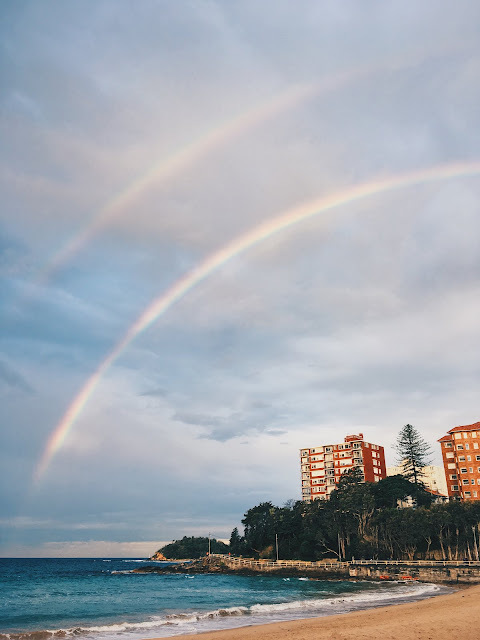 Since the rainbow reminds us about the promises of God, what does a double rainbow mean? Double reminder? To this day, I am still in amazement of how lucky I was to spot such a sight! After a lot of photos in front of the double rainbow, we took the night ferry to Darling Harbour. 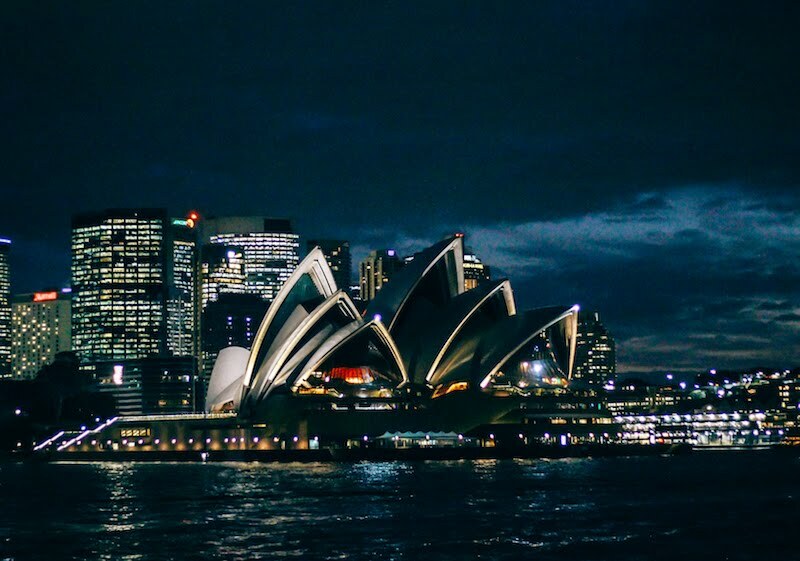 After 30 minutes, we started closing in on Sydney Opera Hosue and began to witness the pretty lights that shined from the buildings. It was such a beautiful ending to such a long day full of walk and beaches! 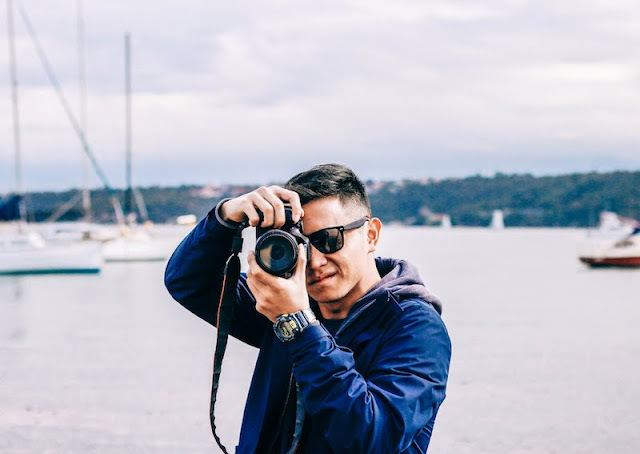 Sydney is not the best place for tourists. At least not for a tourist like me. 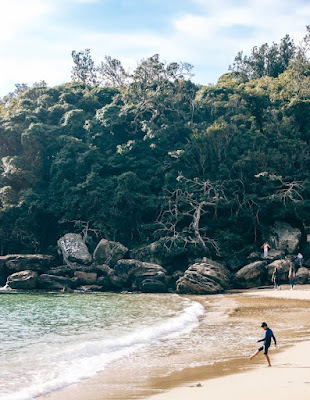 Sydney has lots of beaches and food to explore, but that is probably it. The city is such a metropolitan city that it bores an outdoor person like me. I would bet that Sydney would make such a good place to live in. It wouldn't be such a bad idea to study or work here in Sydney! The pay is good and the living cost is manageable. Perhaps that could be in your bucket list! So, should you come to Sydney during the winter? Yes if you're visiting Hillsong Conference. I would say that it is better for you to visit Sydney during the end of the winter where the temperature is warmer and the beach is much more filled with actions. See you in my next post! PS: can't wait for my Sumba trip.